“I am making good progress,’’ Buhari tells Conde – Royal Times of Nigeria. President Buhari thanks Conde for prayers offered by Guineans. Recuperating President Muhammadu Buhari has written to thank the President of Guinea, Mr. Alpha Conde, for the nationwide prayers held last week by Guineans for his recovery and good health. In the letter dated July 24, 2017, President Buhari, said that the action of Conde, “ is a gesture that I will forever cherish and treasure’’. 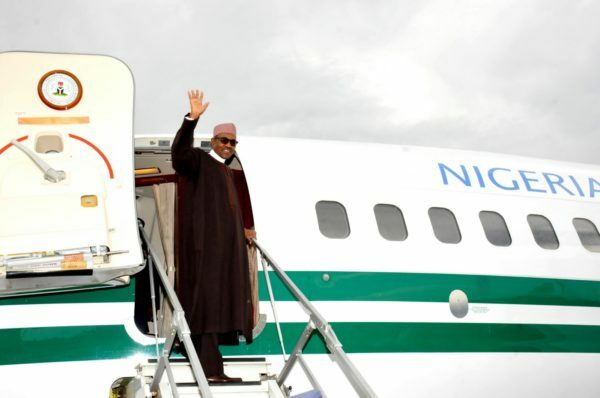 (Media and Publicity), Buhari had earlier phoned Conde on the subject. Conde is the current Chairman of the Assemblies of Heads of State and Government of the African Union. In an earlier letter, President Buhari had also accepted his nomination as leader of the “2018 AU Theme on the Fight Against Corruption”. Buhari’s nomination came from African leaders at the 29th Session of the Assembly of Heads of State and Government of the AU in Addis Ababa, Ethiopia, on July 4, 2017. “While thanking you for the kind words and for the nomination,” the President wrote to Conde, “I wish to express my readiness to accept this new important role and to reiterate my commitment to contribute towards our collective efforts to strengthen good governance and development on the continent. Buhari on Sunday had a launch with leadership of the ruling party, All Progressives Congress (APC) in London. Reporting on the meeting, Governor Rochas Okorocha said President Buhari was very cheerful and has not lost any bit of his sense of humour. Okorocha gave this report in a telephone conversation Reported by President Buhari’s special adviser on media and publicity, Femi Adesina. According to Adesina, the Imo state governor said the party delegation spent more than an hour with President Buhari over lunch, and it was very clear from the discussions that he followed developments at home very closely. He said the President was delighted to receive the delegation and asked each governor about affairs in his state. When asked to react to all the negative things being said about him, the President just laughed, describing such negative reports as lies. Governor Okorocha said President Buhari was completely unperturbed by the cocktail of lies. He, instead, sent his best wishes to Nigerians. According to the governor, Nigerians don’t have to worry at all,adding that President Buhari will be back as soon as the doctors give him the green light.